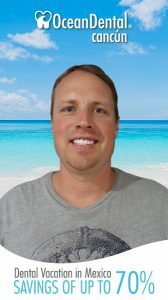 According to the American Academy of Cosmetic Dentistry (AACD), dental Veneers are a “thin piece of porcelain used to re-create the natural look of teeth, while also providing strength and resilience comparable to natural tooth enamel.”; They are custom made to the contour of your teeth and are bonded to the tooth’s original enamel during a series of in-office procedures. Veneers are the fastest and easyiest way to a perfect smile; the best part about it, is that is completely secure and don´t need surgery; it´s perfect for people with teeth that are stained, chipped or have gaps. On the other hand, veneers, are an irreversible treatment; so you better think twice before you and your dentist take any decision about this procedure; with the correct information, you´ll know if it´s the best choice for your teeths. Dentists use veneers to close gaps, correct small misalignments; or as a cosmetic solution to enhance the brightness of their teeth and to straighten their smile, correcting discoloration, fractures, or chips issues. 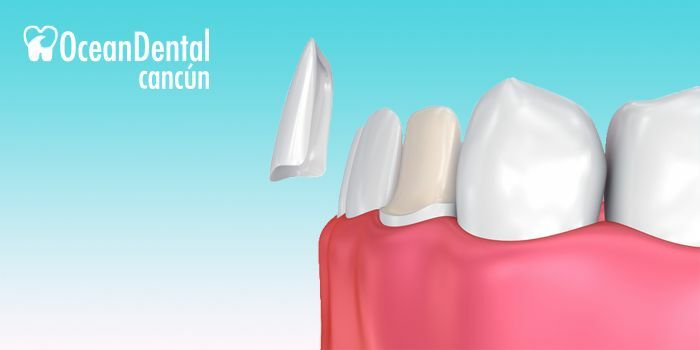 Porcelain veneers, Lumineers and composite resin veneers are the most commonly used material in dentistry; porcelain veeners corrects issuies of shape and color and can last from 10 to 20 years. Local anesthetia isn´t required when placing veneers. However, it can be used depending on the patient’s sensitivity. The dentist will clean the tooth and determine the correct shade for the veneer; removes a small amount of the enamel of the tooth to provide room to place the veneer on the tooth. An impression of the tooth is made for the laboratory ; a temporary veneer will be placed on the tooth with spot etching in the center of the tooth away from the margins. The laboratory delivers the porcelain veneer to your dentist and he is going to remove your temporary veneer; then the dentist clean your tooth with pumice and water. The veneer is then etched, rinsed throughly with water and air dried. The adhesive is placed on the preparation; the cement and the veneer is placed for exact fit and contour. 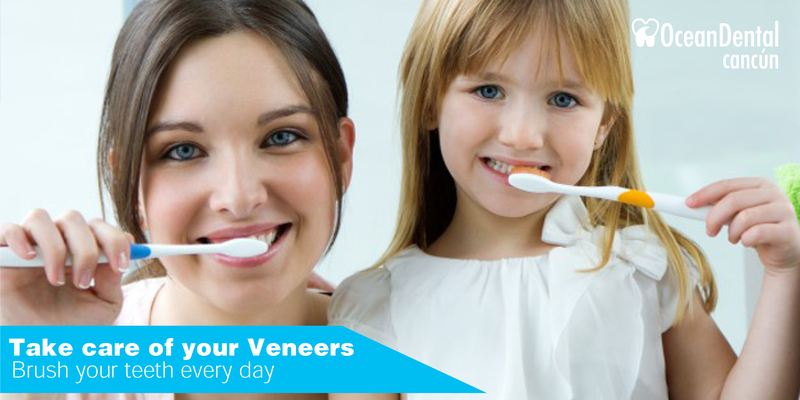 Your dentist removes the excess material and polish the margins of the veneer. It´s important to brushing and flossing as you would your regular teeth. Do a proper daily brushing, 3 times per day. Use an non-abrasive flouride toothpaste. Avoid coffee and stain-inducing foods. A proper hygiene help your veneers to last longer; remember, and no matter how well you take care of them, it will need replacement at some point. Keep it mind that you need to consult your dentist to understand every part of the process and cost.